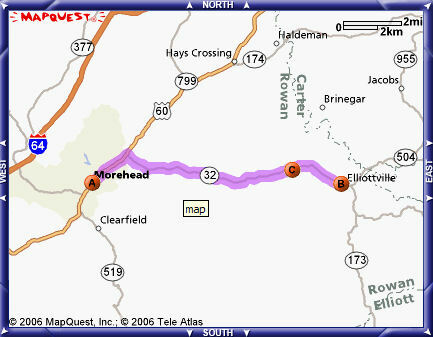 for Christy Creek Road, Morehead, KY See Map below. Old Maid's Puzzle #8 on Christy Creek Road (Route 32) five miles from Rodburn School. Rolling Star #6 six miles on right from the intersection of Rt. 32 and US 60 at 103 Fannin Road. Morning Star #9 at 7100 Christy Creek Road.